Becoming a mother is the most magical time in a woman’s life. 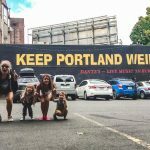 We may be sleep deprived, hungry, and in need of a long, hot shower, but the second we get a whiff of that little one’s head, everything else fades away. 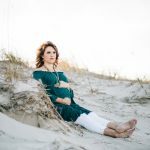 If you have a new mom in your life, this holiday season is a great time to give her the goods that will help her enjoy those sweet moments while getting through the day to day trudge of having a newborn. 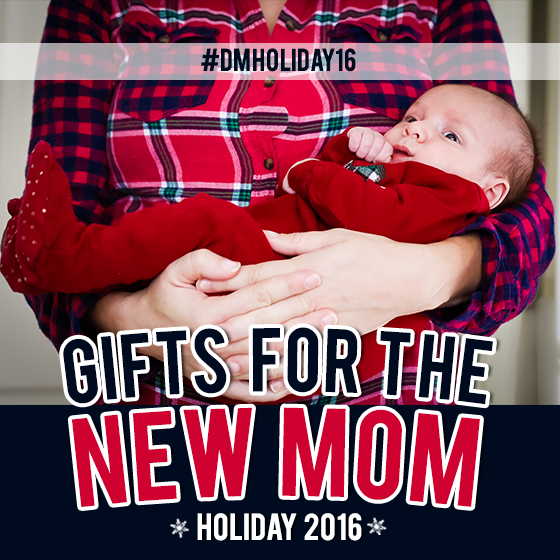 We scoured the registries and have put together our list of must-have gifts for the new mom! The HALO Bassinest Swivel Sleeper LUXE Series is the ultimate bassinet to help a new mom and her baby sleep close and safe, combining comfort, ease, and impeccable design. 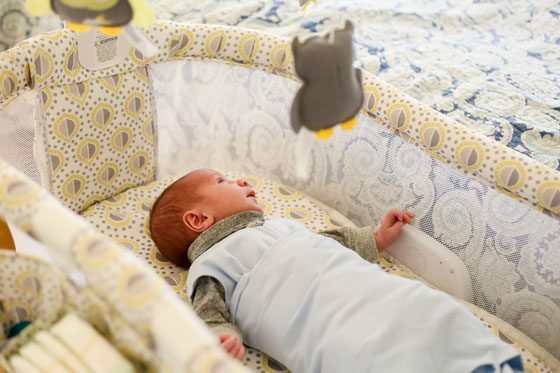 With new research recently released that found that room sharing reduces the likelihood of SIDS, the Bassinest is the perfect addition to any new parent’s room – keeping baby safe and within arms reach. 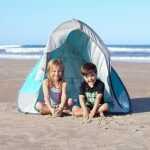 Easily adjustable to fit perfectly next to any bed, the Bassinest also features an adjustable side wall that lowers with a gentle touch and returns upright when pressure is released, plus breathable walls for easy viewing. 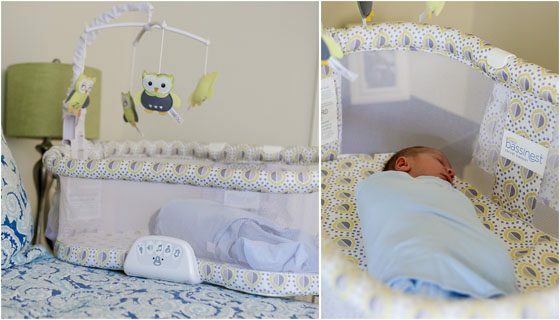 Add the matching fitted sheet and the Sleepy Owl Mobile for a seamless and fun look. The Halo SleepSack ensures the utmost safety by wrapping baby in comfort and reinforcing the rule that “back is best”. 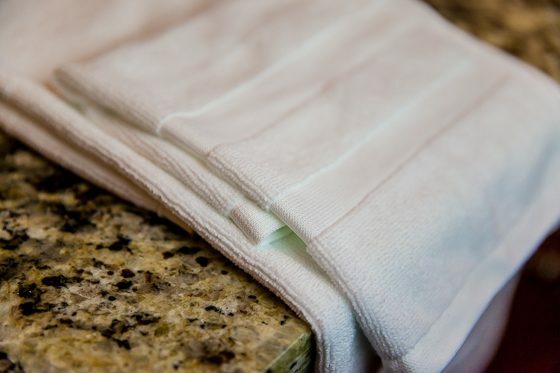 The swaddle includes an easy zip closure with a velcro wrap for snug swaddling. Perfect gift for the new mom who wants to keep baby close and comfortable at night! 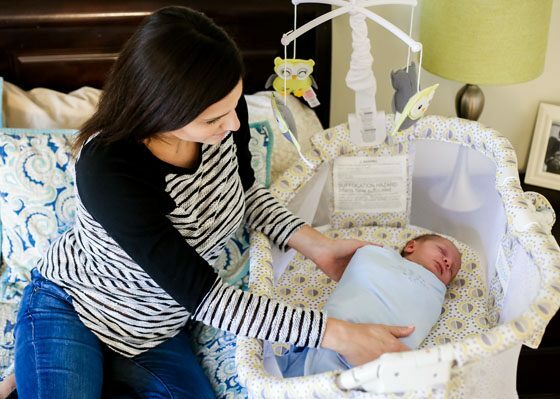 After losing their first child to SIDS, the founders of Halo dedicated their life to providing babies the safest sleep options. With the production of the Halo SleepSack Wearable Blankets that help babies sleep safely, to the Bassinest that keeps babies sleeping close to their parents in a safe environment, Halo stays true to their ideals in putting babies first – in health, safety, and overall well-being. 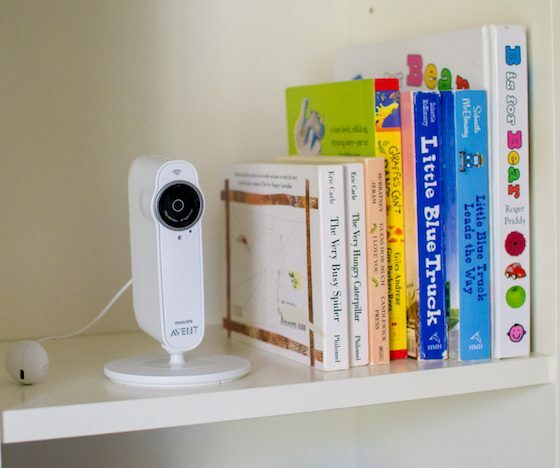 The Philips AVENT Ugrow Smart Baby Monitor is amazing. Families with babies and young kids need this. There has never been an easier monitor to use. 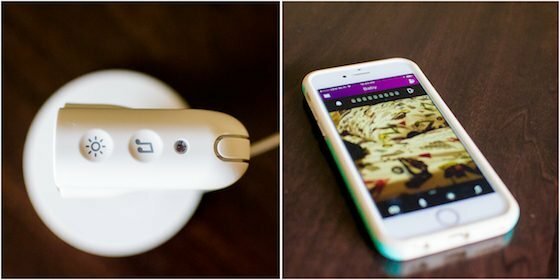 It pairs seamlessly with your smartphone or tablet, and you can check in with your child from anywhere. Any parent who has used a monitor knows that half the time you want to use it you cant find the receiver! 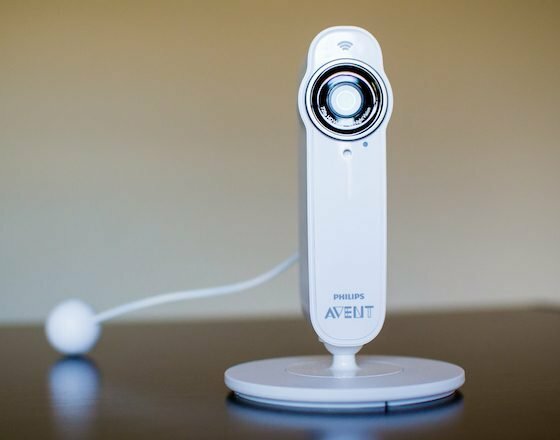 With the Philips AVENT Ugrow Smart Monitor, your phone is the receiver and odds are, you always know where your phone is. No worries about getting too far away from the camera for it to work. Because the monitor operates off your wifi and through an app, you can check in from anywhere. So if you need to do some things in the yard while your toddler naps, you can. You will know if he wakes up and can run right back inside. You get a clear high definition video during the day and at night. It also features a multicolor night light and lullabies that you can play all through the app! You can sleep more soundly at night with the Philips AVENT Ugrow smart monitor in your childs room because it tracks sound, temperature, and humidity! Great as a nanny cam. Slim design will go unnoticed. Perfect gift for families expecting a baby and families with young kids. Philips AVENT is the number 1 brand of baby products recommended by moms worldwide. They offer amazing essentials like bottles, breast pumps, pacifiers, cups, and monitors. Using the latest research and technology, you can trust Philips AVENT for your baby and mother needs. 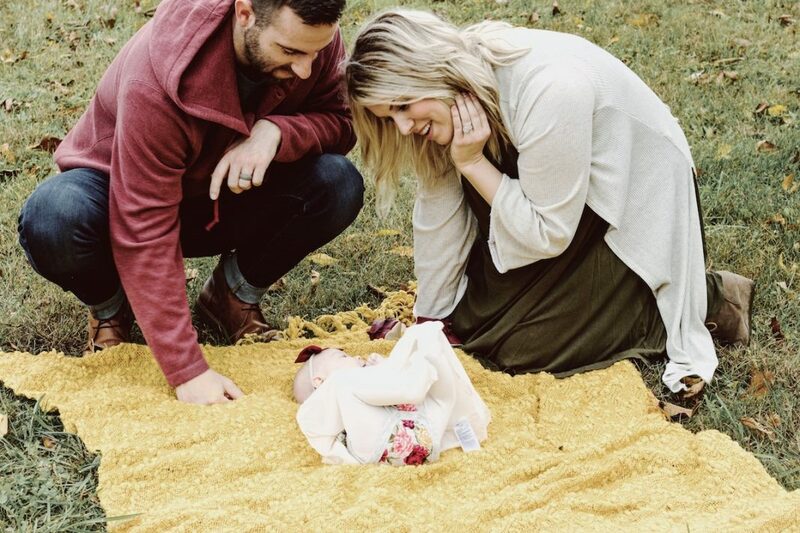 They know that details make a big difference when it comes to creating products for moms and babies. Everything they create is designed to make life with a baby and life as a new mom more seamless and comfortable. Eden’s Garden offers only the purest essential oils and synergy blends. Shop for everyone on your list and give them better health and state of mind. Essential oils are especially ideal for new moms because they can energize a new mom, fight off germs, and help everyone sleep better. Energy, immunity, and sleep is actually something you can give a new mom with oils from Eden’s Garden. 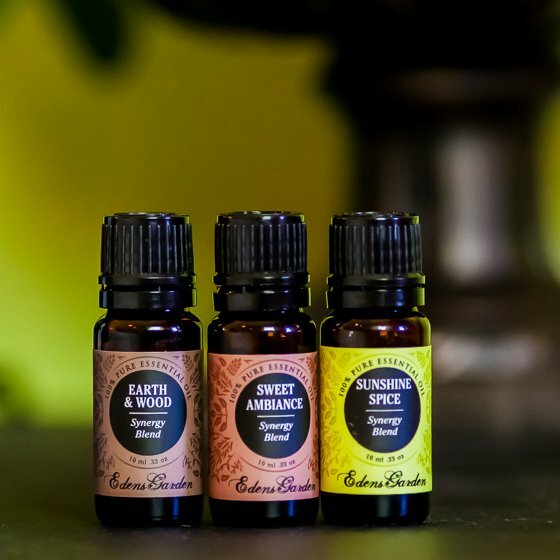 This winter, change up your essential oils with something seasonal. Eden’s Garden has some great oils that are healthy and will get you in the holiday mood. Try their Holiday Blends: Pine, Hope, and White Fir. Pine is earthy, fresh, and invigorating. Hope, made up of an even mixture of Cassia, Lemongrass, Rosemary, Sweet Orange, and Tangerine, will leave you feeling confident, grounded, and encouraged. White Fur is relaxing, bringing you to a place where you can focus. You will love the benefits of all these oils that will also leave your home smelling like the holidays if you diffuse them. Any of these blends would make a thoughtful gift or will help get your home ready for holiday guests. You can also make homemade room spray with any of these oils. 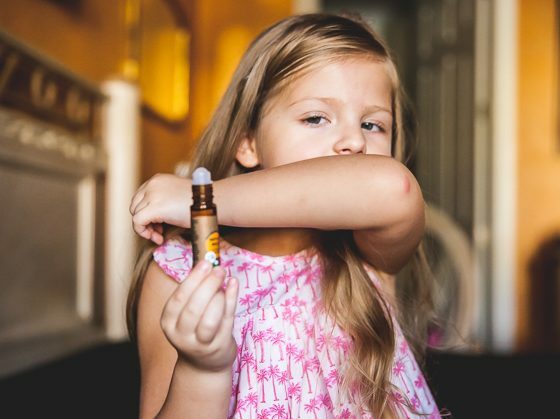 You can give your child the gift of essential oils this season as well. Eden’s Garden offers special blends that are child-safe and come in a roll on. Try Rise and Shine, Sound Asleep, and Sniffles and Sneezes to start. Rise and Shine energizes a sleepy child who has trouble getting up in the morning. Sound Asleep is designed to make bedtime calm and relaxing. This comes in handy on exciting nights likes Christmas Eve when kids can never settle down. Sniffles and Sneezes is exactly what you need for this winter. It fights off yucky germs, because you can apply it right where you need it. Another oil for kids is Focus, Focus, Focus. Diffuse this when a child needs to get homework done, and you will notice a huge improvement. Give the gift of well being to everyone on your list. Here are some of our favorite oils from Eden’s Garden: Lavender is calming and smells wonderful. Aphrodisiac is a seductive blend that will get anyone in the mood. Earth and Wood will rejuvenate you by taking you away to nature without leaving your office or home. Sweet Ambiance will just plain put you in a good mood. If someone needs a little cheering up, this blend is ideal. In the dark winter months anyone can end up feeling gloomy. 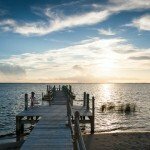 Get some Sunshine Spice to improve your overall mood and state of mind. Perfect gift for new moms and everyone on your list because everyone can benefit from essential oils. Not all essential oil companies are created equal. Eden’s Garden is one of the best. Founded in 2009, with a vision of making essential oils accessible and affordable to everyone, this company sees the natural power in oils. Grace, founder and CEO, was inspired during a mission trip. 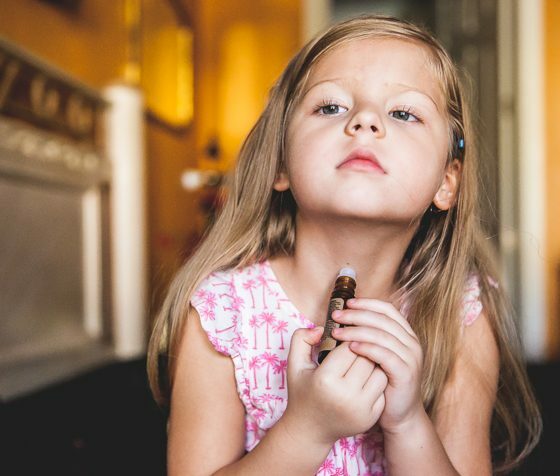 She began to see essential oils as evidence that God has given us everything we need in the Earth. Eden’s Garden donates 10% of all profits to various causes and organizations. A holistic company that wants to make the world a better place is definitely a company worth choosing when shopping this holiday season. You can even get your selections gift wrapped in gorgeous kraft paper and shipping is free! You can turn to Eden’s Garden for all your natural health needs. They offer single oils, blends, and oils just for kids. 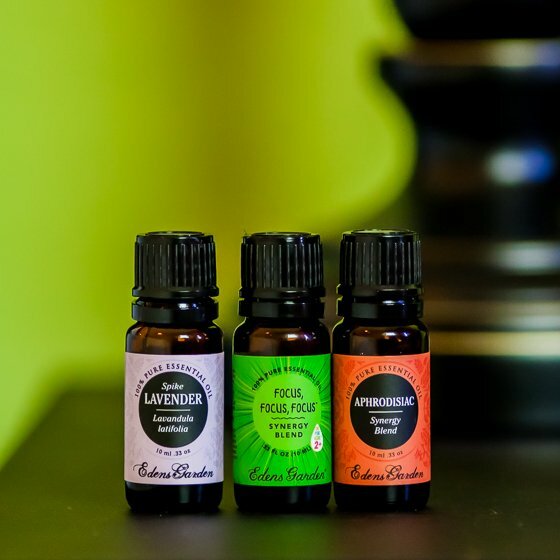 If you are new to essential oils, Eden’s Oils comes with suggested uses and applications, and you can get started with their Intro To Essential Oils and 150 Ways to Use Essential Oils. One of the best gifts you can give a new mom this holiday season is the gift of babywearing. In particular, we love the new colors available for LÍLLÉbaby’s COMPLETE Organic Baby Carrier (seen here in Sea Glass Green). 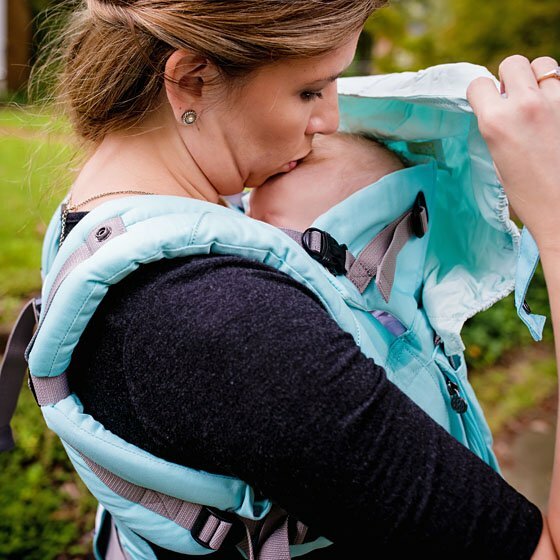 While there are plenty of baby carrying options on the market, LÍLLÉbaby is really the best bang for your buck considering that you can start wearing your baby as a newborn without an insert, all the way up to 45 lbs. The Organic version is particularly gorgeous, but it also offers complete comfort, functionality, safety, and style. Soft, luxurious, lightweight, and beautiful, this 100% certified organic cotton carrier ensures that babies are carried in comfort and style. The pure and natural cotton is brushed until it is amazingly soft. You’ll have to feel it to believe it. This snuggle-ready fabric is available in four delightful debut colors – Sea Glass, Blushing Pink, Powder Blue, and Blue Moonlight – and, for a limited time only, their classic LILLEbaby Green Meadows! 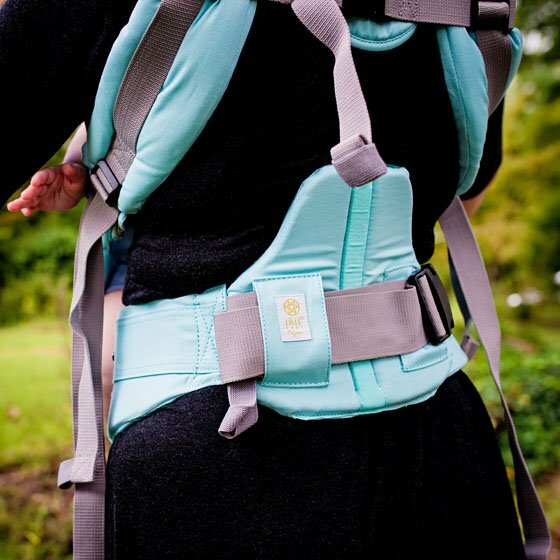 6 Ergonomic Carrying Positions (without the need for an infant insert): Front-fetal, Front-infant, Front-outward, Front-toddler, Hip, and Back carry. The patented cupped seat adjusts to keep baby ergonomically seated in all six carry positions through every developmental stage. Removable Sun-Shielding Sleeping Hood features dual adjustment points to provide tailored support for babys head while sleeping, sun protection while exploring, and privacy while nursing. Perfect gift for a new or expecting mother who’s always on the move. 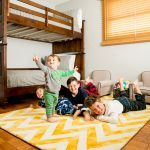 When Lisbeth Lehan started LÍLLÉbaby, not only did she start as a mom with a product, she started with a team of moms and dads, designers, a chiropractor, a rock climber, pediatricians, fashion consultants, safety experts, and hours and hours of day-in-a-life studies of parents with a goal to make baby products that would reduce hassle, simplify life with a baby, and thereby truly improve parents quality of life. LÍLLÉbaby wishes that all parents can attain the simple luxury of keeping their baby close while building a natural bond, in perfect comfort and functional style. Do you know a new mom who would love a non-mom looking diaper bag that can carry it all? 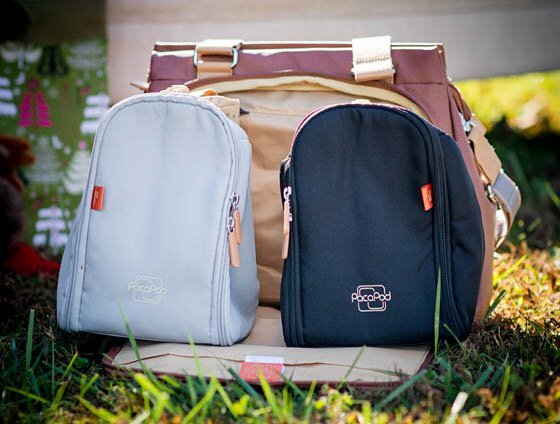 A classic diaper bag always makes for a great gift, especially during the holidays, and Pacapod offers a collection of luxurious bags that any mom would love. The Richmond in Oak by Pacapod is an effortlessly clean and streamlined classic tote bag that hardly looks like a diaper bag until you take a closer look. 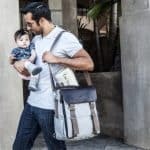 Tucked discretely inside the rear cargo section of the bag is a cleverly designed 3-in-1 baby organizational system that includes a feeder pod, a changer pod, padded changing mat, and insulated bottle cover. If you’re a working mom, remove one of the pods and you could easily carry along your breast pump. The Richmond is durable and made in a coated cotton canvas fabric that can easily wipe clean, while the thick webbing carry handle and strap make it versatile and comfortable to carry over the shoulder, across the body, or clipped to your stroller. 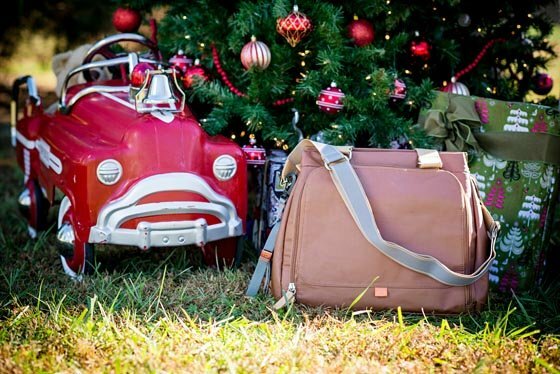 Perfect gift for new moms who need the flexibility of carrying it all, without sacrificing style. Having spent fifteen years designing outdoor clothing, Jacqueline Waggett, the creator of PacaPod, took time cycling around the world with all her possessions stored in two bicycle panniers. In her travels, she learned that traveling light and being organized came in quite handy, but she also came to realize that there was a gap in the market for great-looking and practical baby bags. With a little imagination and business sense, Jacqueline launched PacaPod at Harrogate Nursery Trade Show in 2008. Since then it has been enthusiastically snapped up by busy parents, celebrities, and major nursery retailers. Expect beautiful skin; it’s your right since you’re going to live with it for the rest of your life. Begin your expectations with the Belli Prep: Belli Fresh Start Pre-Treatment Scrub is an invigorating scrub for face or body that sweeps away old skin cells to reveal new, smooth, healthy skin. The scrub helps prepare your skin for the application of other products. Scrub yourself with the rich antioxidants of green tea and ginseng, followed by the energizing aromatherapy of peppermint essential oil. Now that your skin is fresh, the old dead skin cells expunged, you’re ready for the Belli Stretchmark Minimizing Cream, featuring two scientifically researched ingredients darutoside and regestril*, combined with avocado oil and ginseng to help soften, moisturize, and even out skin tone. You can be assured the Belli Stretchmark Minimizing Cream is specially formulated to help decrease your skin’s appearance of existing stretch marks of any age and from any cause. *Learn more about the Scientifically Researched Ingredients. Perfect gift for the new, expecting mother or the mom who appreciates a bit of tender loving care for the skin she’s in – her skin deserves to be beautiful during any stage of life! Skin care support should be made available to all moms at all ages and stages by focusing on ingredient safety while providing effective and luxurious skincare solutions. 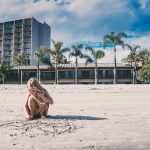 Whether you want to address stretch marks, acne, effects of sun exposure, dry skin, sensitive skin, tired eyes, or chapped lips, you can be sure to find that Belli delivers peace of mind and effective results. 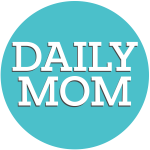 Visit their Skincare Q&A or At-Home Spa to get the answers you need, or hear from other moms by clicking on Videos and Testimonials. Whether it’s through a pregnancy or other genetic means, skin damage can dim the light of confidence within a woman. Even if hidden by clothes, you know what lies underneath and you are ready to feel beautiful – within the skin you’re in. Since Belli was born in 2002, Belli has earned the respect and recommendations of OB/GYNs and Dermatologists, and most importantly, the trust of moms like you. Give the gift of good health and relaxation to a new mom this holiday season! 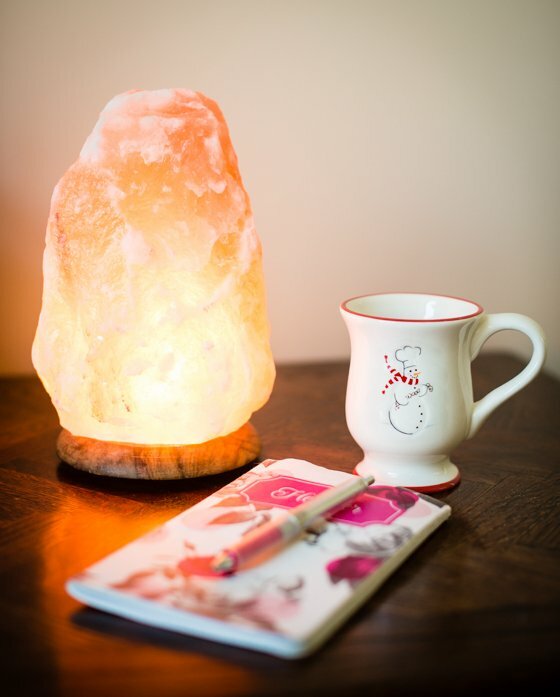 Himalayan salt lamps have incredible healing capabilities and are really amazing for your health and well-being. When turned on, these lamps release negative ions, which help to boost your mood, improve sleep, and increase production of serotonin. 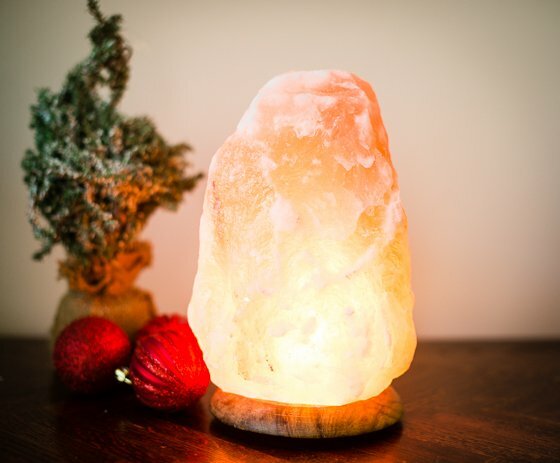 This genuine Himalayan salt lamp from Lamps Plus will also help clear the air of allergens, pollen, mold, bacteria, and viruses – and its gentle rosy pink glow is simply soothing and spa-like. And what else does a new mama need but some rest, relaxation, and peace? She’s going to want one for every room of the house! Our postpartum holiday elf has been testing this lamp for over a month, and can personally vouch for the overall improvement in mood and sense of relaxation. 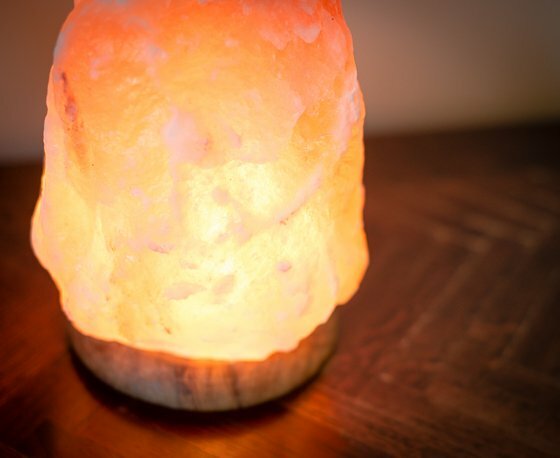 One of the most critical things to consider when purchasing a Himalayan salt lamp is that you need to buy from a reputable source, as knockoffs are starting to become more prevalent – and you can rest easy knowing that each lamp sold by Lamps Plus is a genuine salt lamp. Perfect gift for the health seeker, new mom, or the person who has everything! Lamps Plus is the premier destination for lighting fixtures, offering an incredibly extensive array of lighting (over 70,000 pieces and counting!). The company began in 1976 with the goal of providing customers value, selection, and superb customer service. Along with their exclusive Lamps Plus product lines, they also sell a variety of name-brand lamps and lighting fixtures as well, for a well-rounded portfolio of lighting. Soon after you welcome your sweet baby into the world, you realize that your accessories need a makeover. As you’ve already discovered, a teething baby grabs, drools, and bites on everything, including your precious jewels. 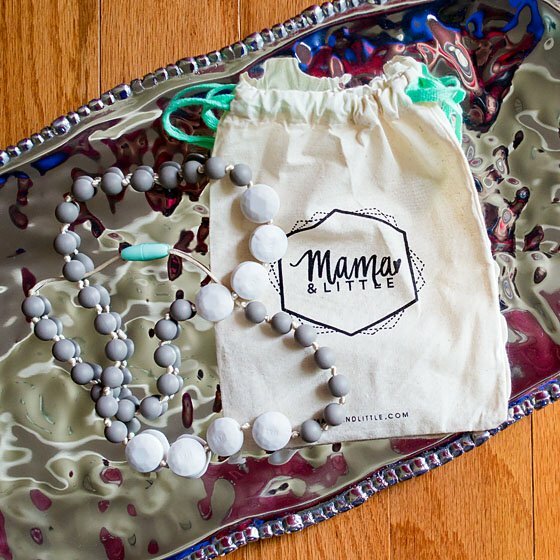 Mama & Little‘s silicone teething jewelry is a safe way to keep your baby entertained while being held and at feedings. The firm yet flexible texture helps relieve sore gums and is the perfect distraction for little fingers to touch and tug. These gorgeous, geometric necklaces and bracelets are not only the perfect gift for a busy mom on the go, but they also double as chew toys for babies and toddlers. We particularly love the Sofia which features a chic new multi-faceted coin-shaped bead in an asymmetrically balanced design that will instantly dress up your favorite outfit! We find that it’s a great length to use as a nursing, teething, or baby-wearing necklace that even your non-mom friends will be jealous of! 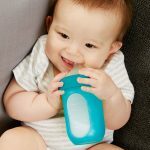 It’s the perfect alternative baby teething toy that you’ll want to wear every day to soothe your teething baby. Baby gets a teething toy, and you get a pretty necklace. We can’t think of a better Christmas present than that! Perfect gift for the mom of a teething infant who desperately needs to slobber all over anything they can get their teeth on. 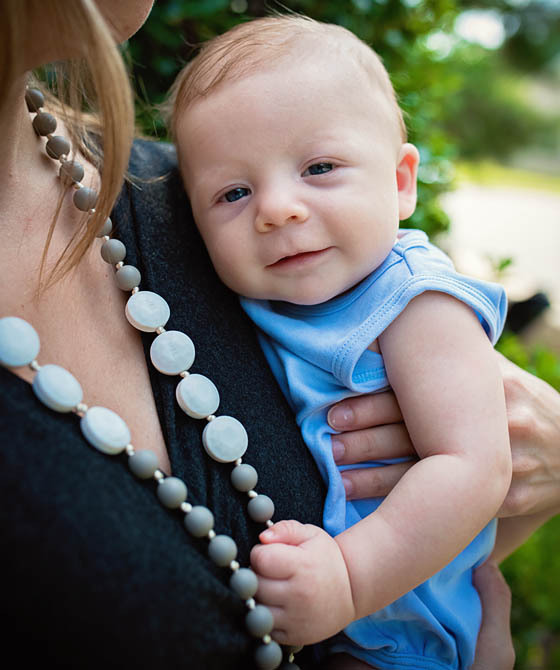 Mama & Little is a mama and papa-run business, that offers a fresh approach to silicone teething jewelry. Since their launch in 2014, they have strived to create unique, functional, and stylish accessories that set them apart in quality and practicality of design. Their on-trend styles and colors with pricing fit for all mamas is also completely safe for your little ones to touch, tug, and teethe on. With a goal to make the teething stage a bit more bearable for your littles while keeping you looking great, their geometric collection has made teething jewelry into something totally un-boring for the modern, hip mama! 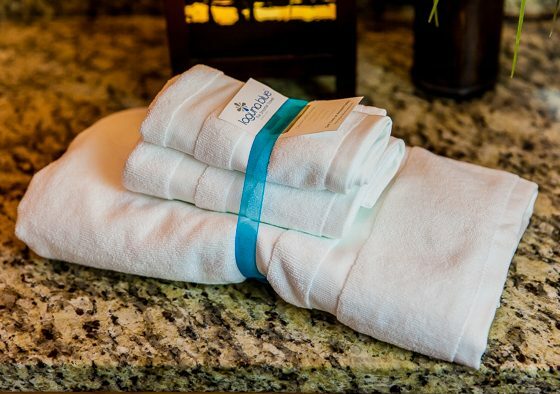 Laguna Blue Towels are unlike any towel ever, and they are a busy mom’s best friend. This is because this towel is eco-friendly and anti-bacterial. You don’t have to fret over your family using dirty towels anymore. Most of us don’t wash our towels every day. However, if you don’t, you are putting your family at risk for infection. With Laguna Blue, that worry is gone. 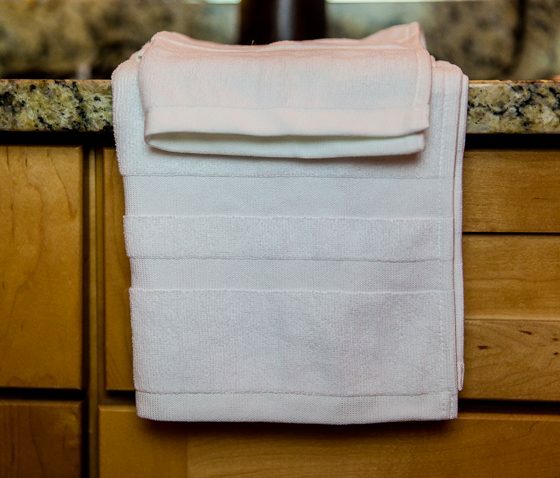 These towels are 99.8% effective in preventing the spread of germs and diseases, including life-threatening MRSA. They are environmentally friendly as well, using 50% less water and drying quickly which saves energy. You will love how plush they feel yet they are lint free and fade resistant. Perfect gift for moms who hate laundry but want to keep their families healthy and germ free. 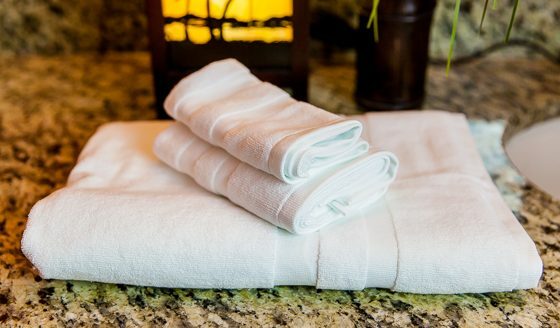 Enviro-Linen has revolutionized towels. Unfortunately, this was born out of a very serious health scare. 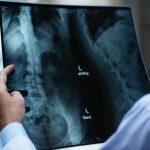 In 2004, a contaminated gym towel left one of Enviro-Linens founders, Kenny Perry, fighting for his life. The towel was infected with MRSA, and in a matter of days, doctors were considering amputating his left leg. Fortunately, Kenny survived and made a full recovery. This event inspired him. Together with his business partner, they created a product that prevents the spread of dangerous bacteria. 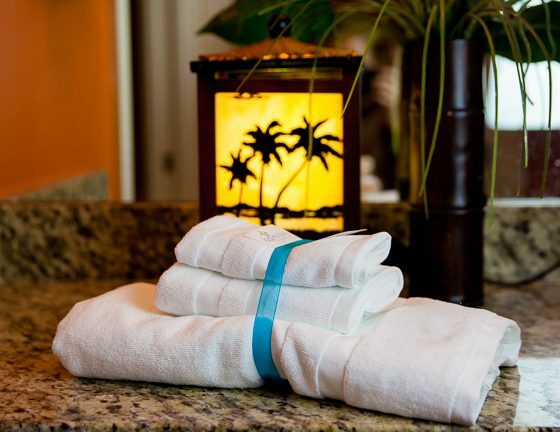 Now with Laguna Blue towels from Enviro-Linen, no one has to deal with this again!